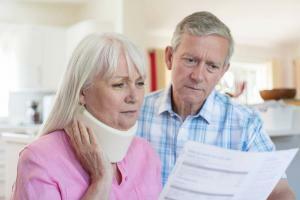 Who Pays for My Injuries in a Hit and Run Accident? If you have been involved in a St. Louis hit and run accident, you may be wondering who will pay for your medical bills. If you are injured in a car accident, and the other driver is responsible for the incident, then Missouri law says you have a … [Read more...] about Who Pays for My Injuries in a Hit and Run Accident? What to Do if Someone Hits Your Parked Car and Leaves? It might be possible for the police to investigate the matter to see if there were any surveillance cameras that recorded the hit and run. Returning to your car to find that someone has hit or dented your car without leaving a note can truly be … [Read more...] about What to Do if Someone Hits Your Parked Car and Leaves?